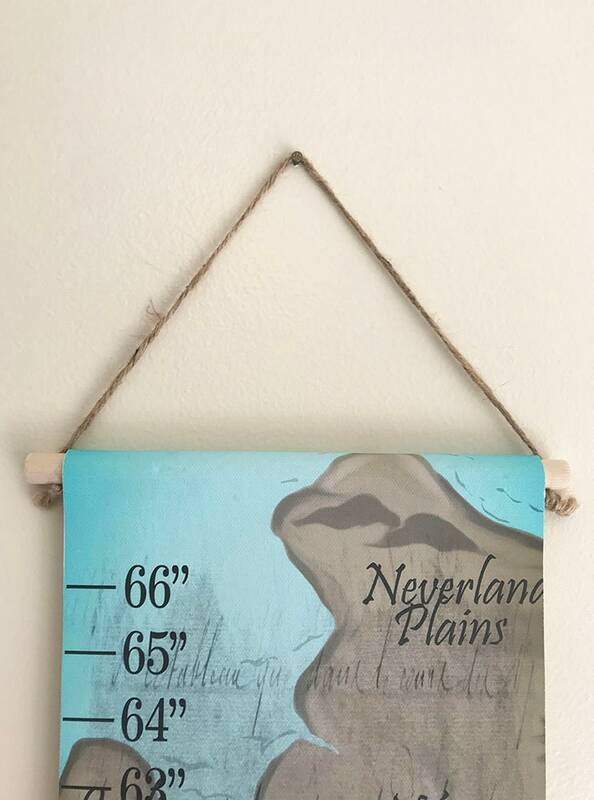 This canvas growth chart would be the perfect addition to any boy's room! 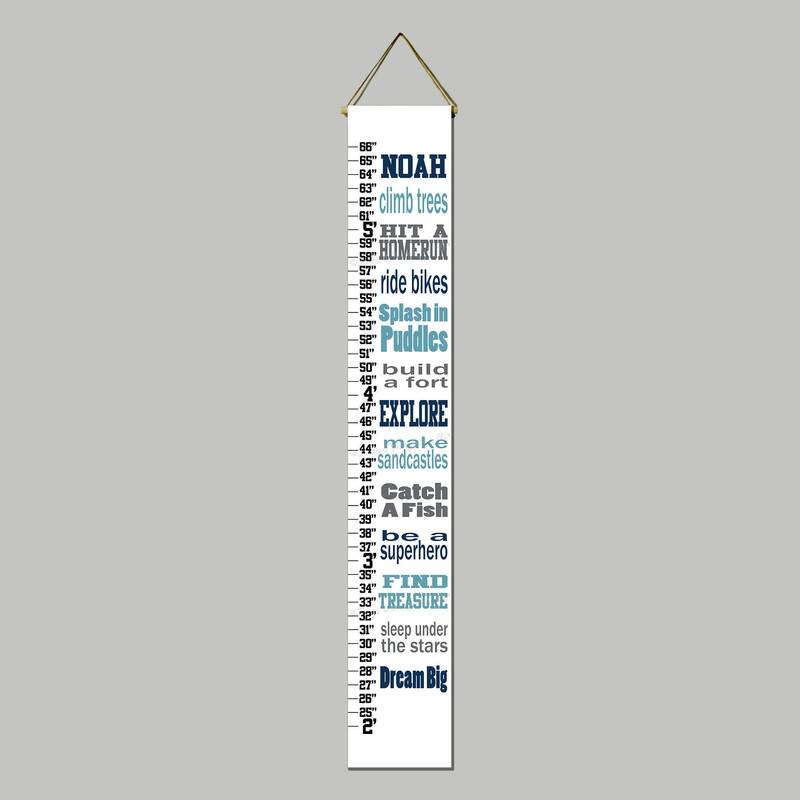 This growth chart is printed on a white background, ruler in black, and wording in navy, aqua, and grey.. You can choose to have it printed with or without a name, as pictured in the listing example by using the drop down menu. 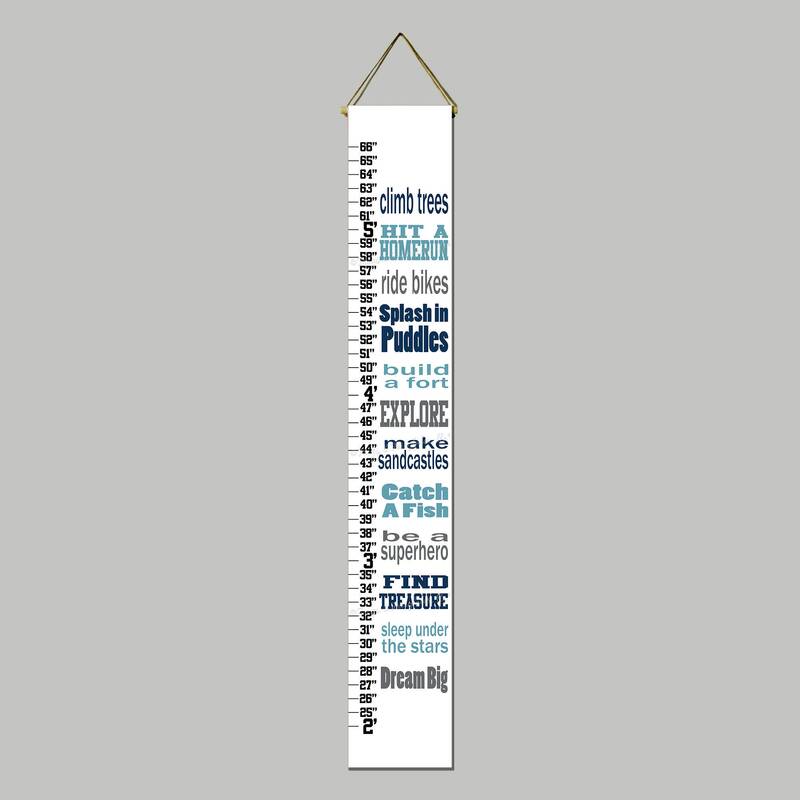 Our growth charts have a dowel rod attached to the top and bottom. The dowel rod at the top has twine attached for hanging. A close-up example is shown in picture 3. Watermarks will not appear on your actual growth chart. This chart measures you little one's height from 2 ft. to 5 1/2 ft. Simply hang 2 ft. from the floor, matching it up with the 2ft. line on the growth chart. Use a permanent marker to mark your child's and the date you measured them at that height. Canvas growth charts make a great keepsake! It is printed on matte finish canvas using the giclee method with museum quality inks. It is sealed with a satin finish to keep the ink from smudging.